Cabin Class passengers traveling as a group. 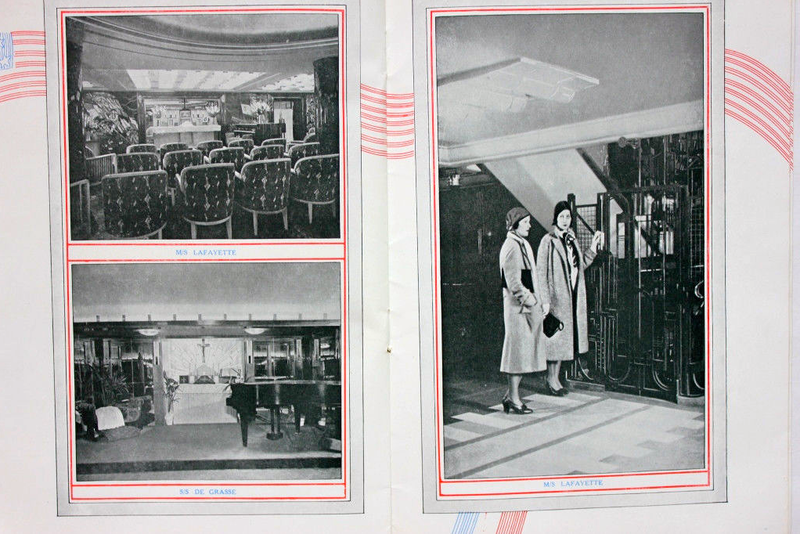 During the 1930s – businessmen and tourists sailed to Europe from the USA. There were almost daily sailings from New York. 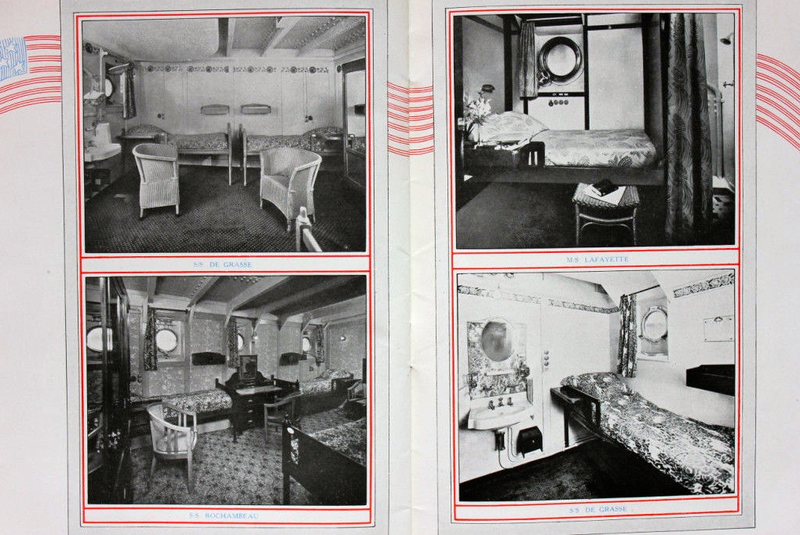 French Line offered Cabin Service on the SS Champlain, SS Lafayette, SS De Grasse, and SS Rochambeau. French Line schedule of Cabin Class service. The above schedule and rates give a great indication of what it cost to travel from New York to Europe at the height of the Great Depression. $159 for a one-way ticked Cabin Class (the equivalent of First Class). Transportation and all meals. Plus wine and booze, since America was still ruled by prohibition. The last of the “trio” including SS Colombie and SS Lafayette, the Champlain was a commercial highlight beginning with the inaugural trip on June 18th, 1932. René Prou, the architect, gave this liner a very sleek, but extremely friendly touch. 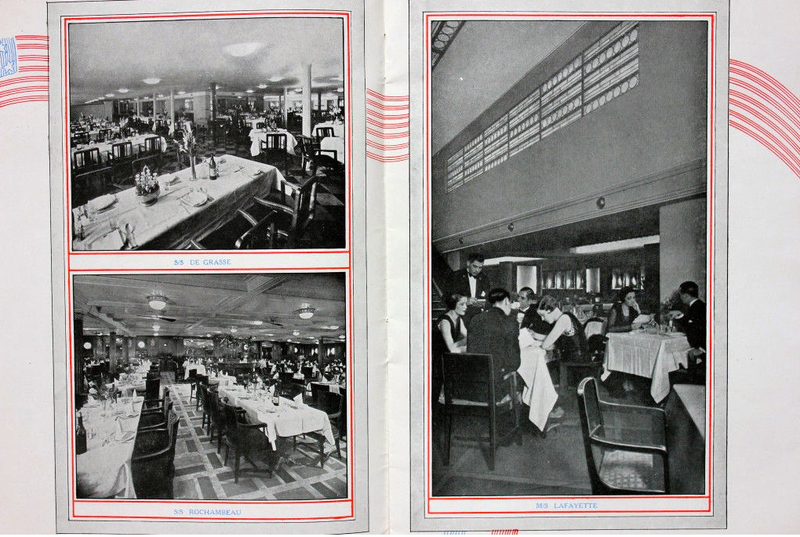 The interiors were simply elegant and modern, in harmony with bright colors. SS Champlain had a great “cleaned” sun-deck, result of the situation of her streamlined funnel. 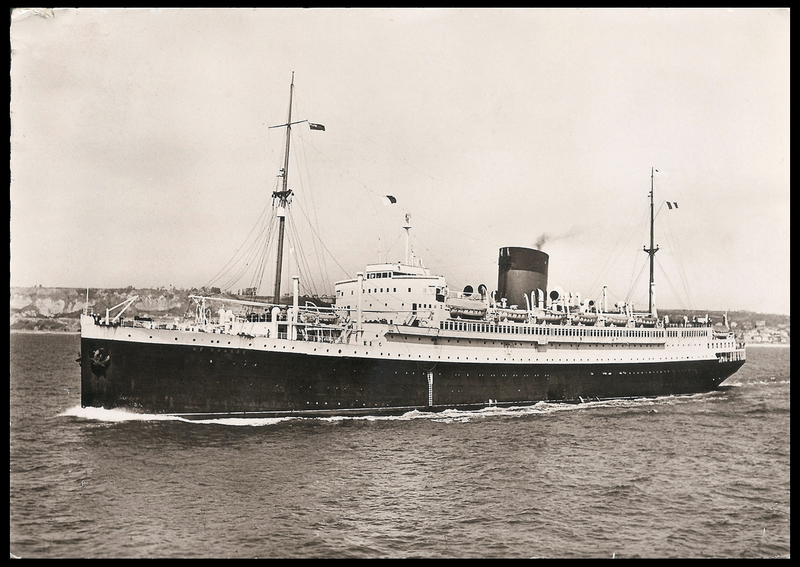 The liner was destroyed, and sunk in 1940, by hurting a mine in La Pallice. The SS Champlain was a cabin class ocean liner built in 1932 for the French Line by Chantiers et Ateliers de Saint-Nazaire, Penhoët. She was sunk by a mine off La Pallice, France, in 1940 — one of the earliest passenger ship losses of the Second World War. 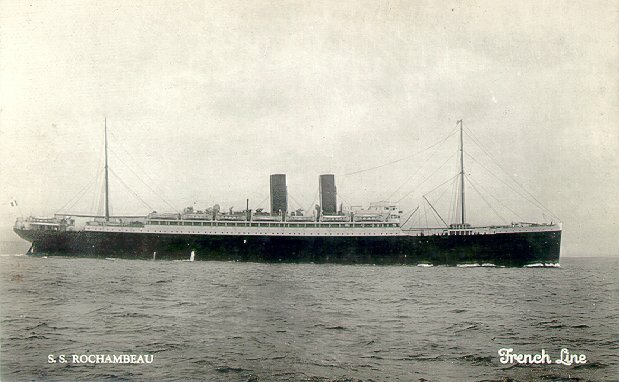 Although not as well remembered as her larger fleetmates, the Champlain was the first modern ocean liner and embodied many design features later incorporated into the French Line’s SS Normandie. 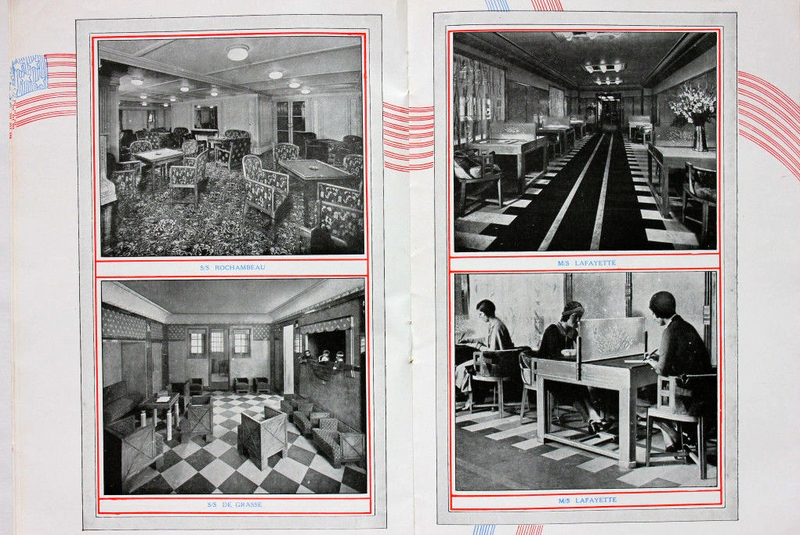 Her interiors were designed by Rene Prou who decorated spaces on several earlier French Line ships, including the cabin motorship SS Lafayette. When she made her début in June 1932, the Champlain was the largest, fastest, and most luxurious cabin class liner afloat. 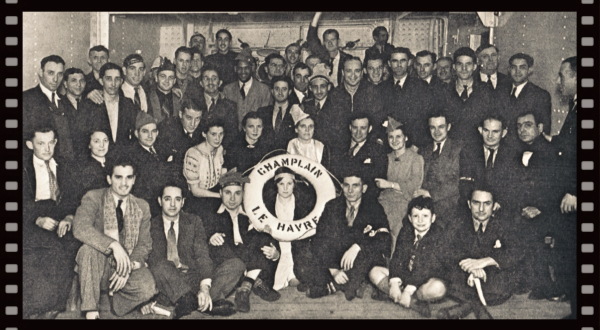 At the outbreak of the Second World War, the Champlain was pressed into evacuee work, transporting refugees from Europe to the safety of North America. 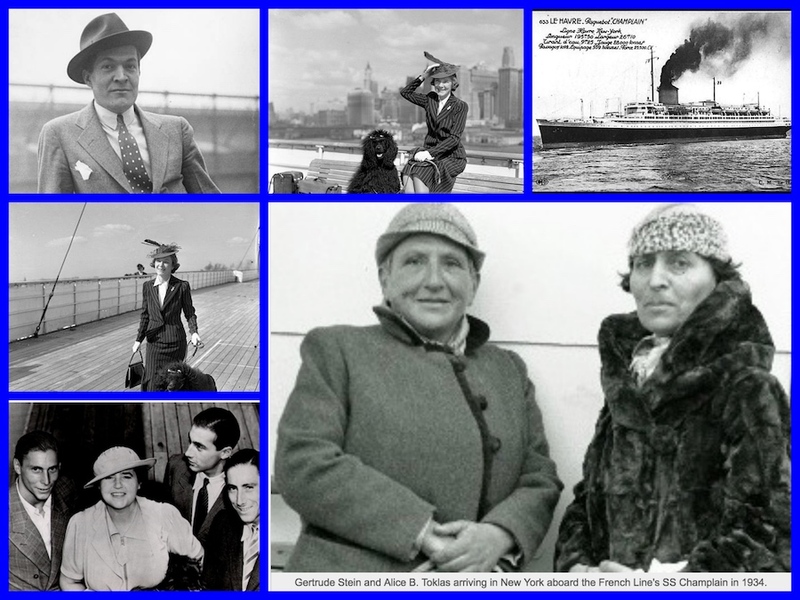 This included many European Jews escaping Nazi Europe. Vladimir Nabokov and his family were passengers on the last voyage to New York in May 1940. It was on the return trip that the Champlain met her fate. On 17 June 1940, the liner struck a German air-laid mine while swinging at anchor in the waters off La Pallice, France, near Île de Ré, and quickly heeled over on her side. A few days later a German U-boat fired a torpedo into the hulk — possibly to finish her off, as much of the ship lay above water level. Many sources quote a wire service report from 1940 that as many as 300 lives were lost but this is erroneous. Although there were many injuries there were only 11 or 12 fatalities. She was one of the largest ships sunk in WWII. Her wreck lay quite visible for over twenty years and was eventually scrapped in 1965. After World War 2, the DeGrasse re-established trans-Atlantic service from New York to Europe from 1947 until 1952. 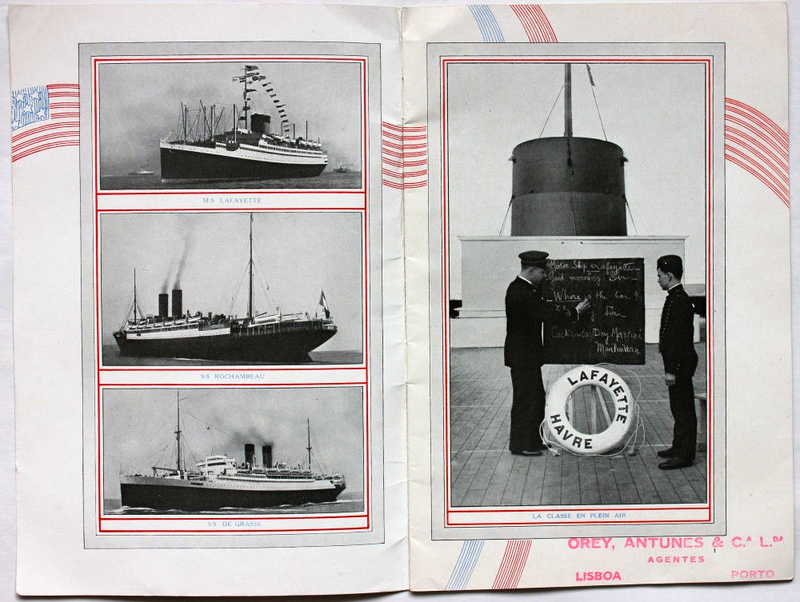 De Grasse was the first ship built for the French Line after World War One. With a shortage of materials at that time and a strike in England, her maiden voyage from Le Havre – New York was delayed until August 21st, 1924. The French Line operated De Grasse on that run alongside their larger ships, the 23,666-ton France launched in 1910 and the 34,569-ton Paris launched in 1916. The arrival of the French Lines 79,280-ton Normandie on the Atlantic run in 1935 led to De Grasseundergoing a refit in 1938 to make her more suitable for cruising. Following the outbreak of World War Two in September 1939, De Grasse was laid up at New York for a few months before being returned to Bordeaux/France in May 1940. The decision to return her to France soon proved to be a serious miscalculation as she fell into the hands of the advancing Germans. After the German forces were forced to retreat in 1944, they sank De Grasse in shallow waters at Bordeaux to create a blockade. After the war had come to an end, De Grasse was raised and towed to Saint Nazaire to undergo repairs and an extensive rebuild. She returned to the Atlantic run in the summer of 1947 with the most noticeable change being the removal of one funnel. 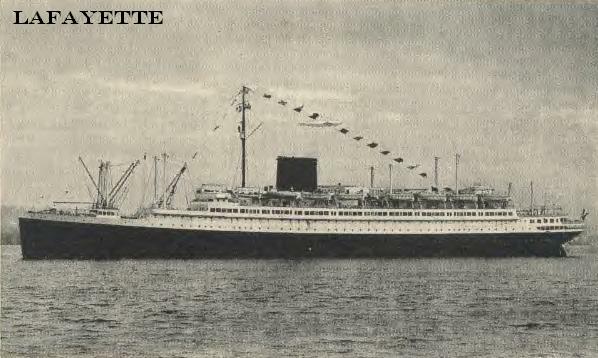 De Grasse was relocated on the Le Havre – West Indies route after the arrival of the French Line’s Flandre on the Atlantic run in 1952. At the time of Britain’s Queen Elizabeth 11 coronation ceremony in 1953, the Canadian Pacific Line was fully booked and had lost their liner Empress of Canada to fire. This led to the Canadian Pacific Line buying De Grasse to serve as a temporary replacement under the name Empress of Australia. By February 1956, she had again been sold, this time to the Italian shipping company Grimaldi-Siosa to be operated on the Naples – Caribbean migrant run under the name Venezuela. Now an old ship, Venezuela was operated on that route until she ran onto rocks at Cannes March 17th, 1962. Grimaldi-Siosa had their aging liner towed to La Spezia for scrapping soon after as they declared her a total loss. Second “single class” steamer of the company, entered in service in September 1911 on the line Le Havre-New York. An extended version of the CHICAGO steamer brought into service three years earlier. Between 1915 and 1918, ensures a regular service between Bordeaux and New York (because of the war, the terminus was moved from Le Havre to Bordeaux). 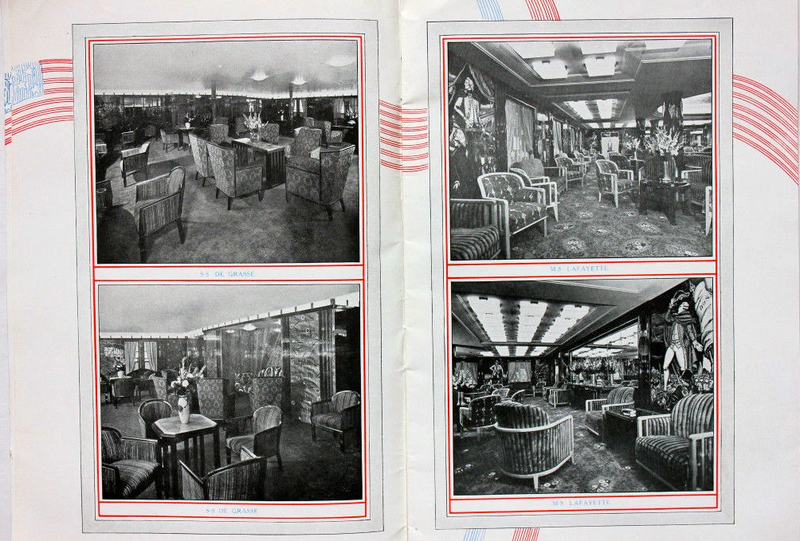 Work includes the installation of glazing-windows in front of the promenade deck. Demolished in Dunkerque in 1934. LAFAYETTE will have a very short career. First large engine steamer of the Company, very modern of style, she is brought into service on the line the Le Havre-New York in May 1930. Carries out cruisings regularly. Her voyages to Spitzberg inspired the novelist Roger Vercel. Is completely destroyed by a fire in May 1938, while she was in the great dry dock of Le Havre. Demolished in Rotterdam.